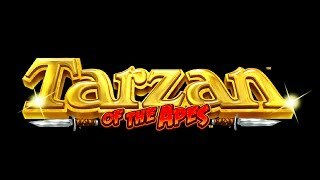 //Powerhouse Animation has teamed up with the talented folks from Aristocrat to create a variety of art and animation assets for their latest Tarzan slot machine game. This installment of the Tarzan property takes place in the City of Gold where players can earn bonuses by entering the treasure room. Powerhouse digital painters, designers, and effects animators worked in Photoshop and After Effects to create the symbol and bonus animation for Tarzan of the Apes. We were glad to bring Tarzan to life through this painterly style of animation.